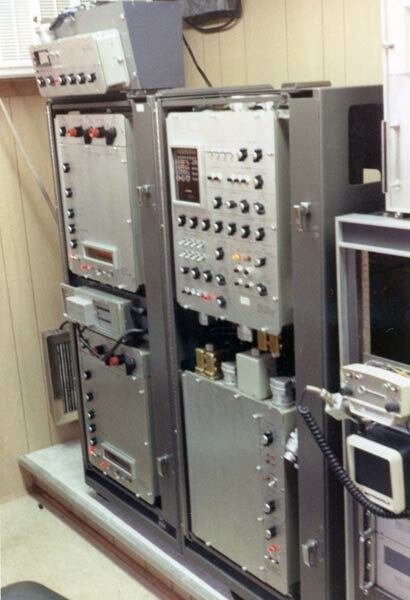 The Texas Instruments DFSIII digital seismic recording system. were removed from the near end of the cable and "swung" (and plugged-into) to the far end of the cable. 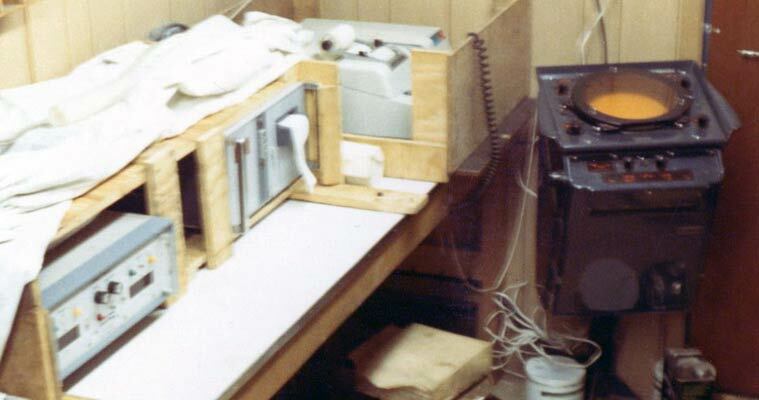 one position, thus simulating a cable moving over the seabed. and subsequent computer processing. The BGA module performed this function. 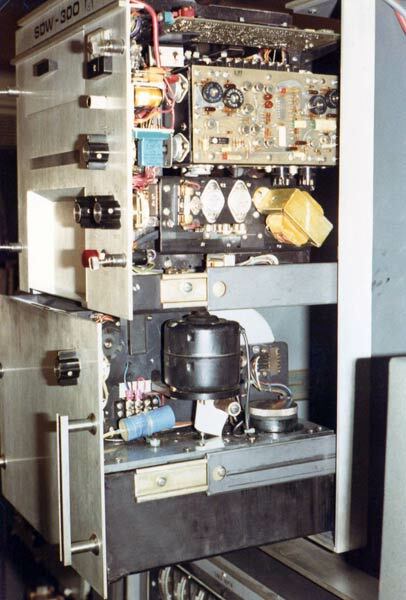 Each amplifier channel independently managed it's gain in binary (multiple of 2) steps. 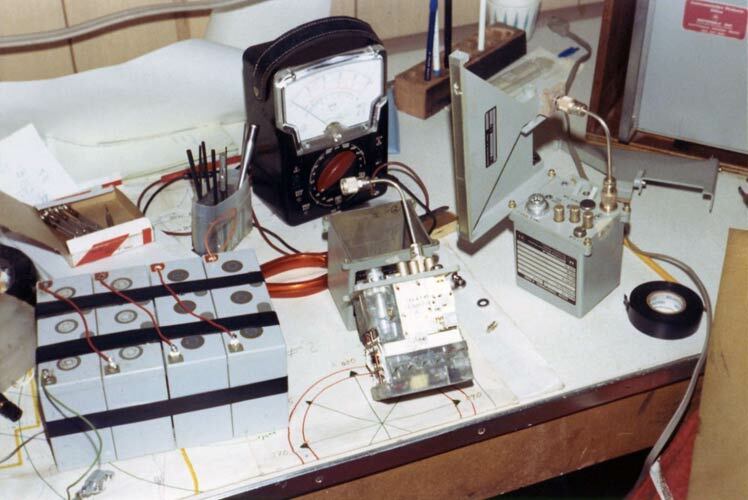 Each BGA module had 12 amplifier channels so 2 modules were required for a 24-channel hydrophone cable. 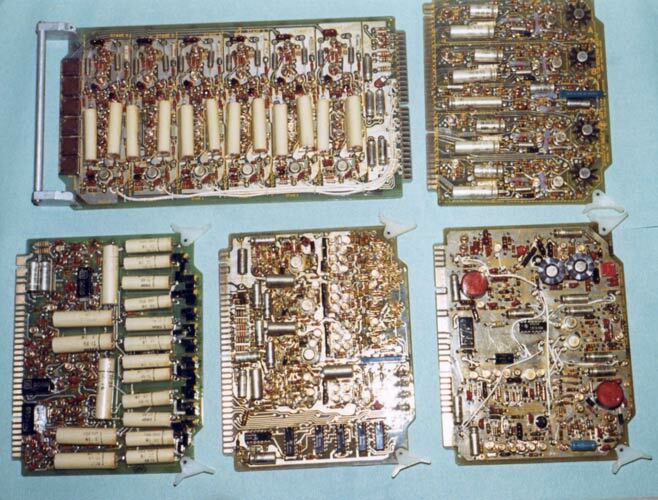 Some of the DFSIII electronic circuit boards. 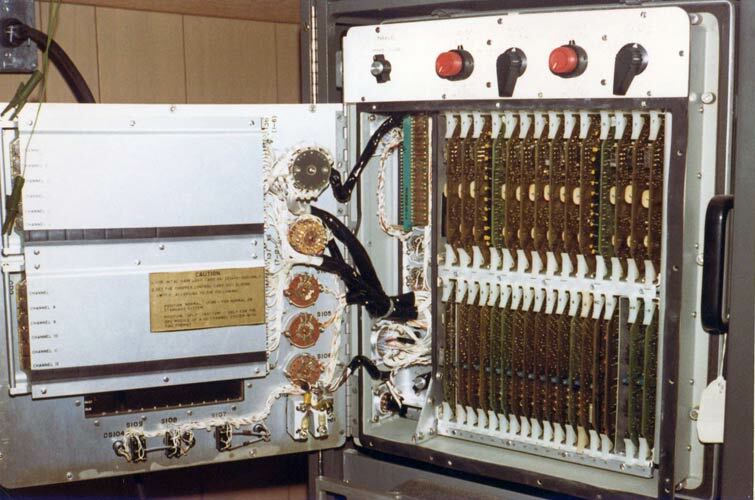 wires of the components push through the boards and are soldered on the underside of the board. 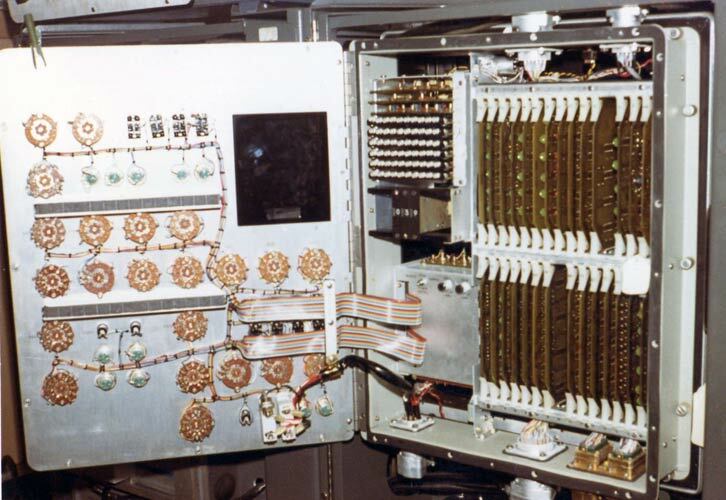 Some round-can integrated circuits with heat sinks can be seen. Pressure transducers in the Streamer cable sent depth data to these indicators. 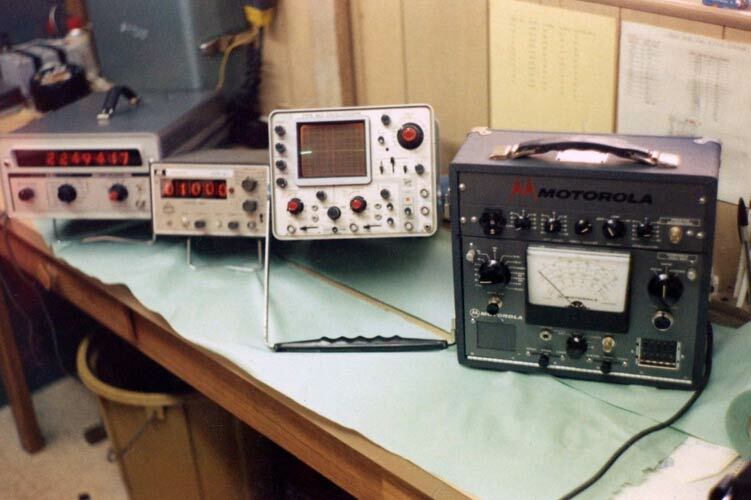 Motorola VHF radio & Seismic Source Synchroniser (2nd from top). to detonate the charge of Aquaflex detonating cord. Lamba 115 volts ac to 12 volt dc power supply for the DFSIII (bottom). 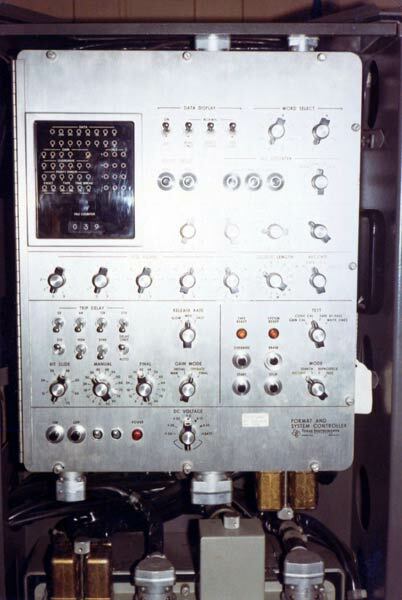 The DFSIII was designed to work on 12-volt batteries in the field. This camera created 24 parallel "wiggle-traces" of seismic data on a paper strip. The wiggles were created by 24 mirror galvanometers which needed occasional adjustment. The bottom section contains the tank & pump for the Freon-toner mixture. 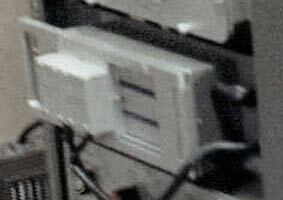 The camera needed frequent cleaning of hardened toner deposits, also toner & paper replacement. 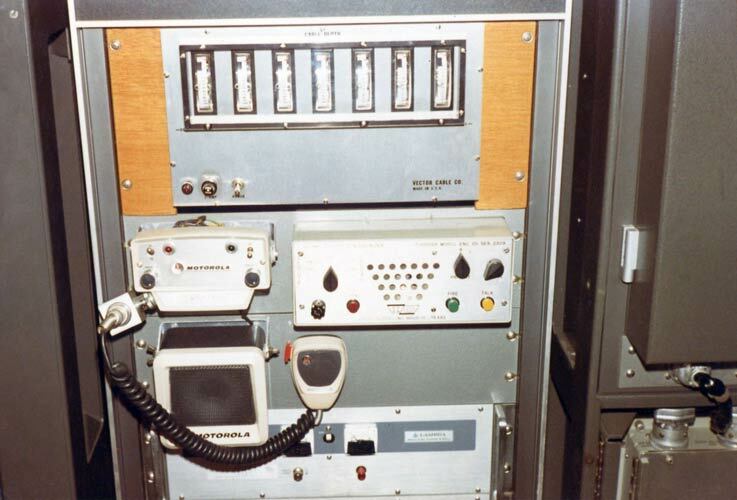 This system transmitted radar pulses to transponders on shore - which returned the pulses. 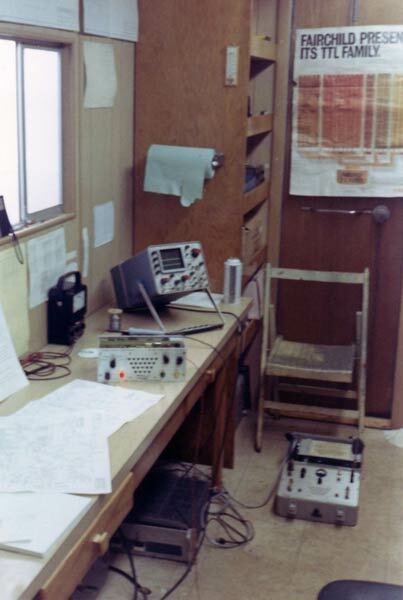 The radar pulse transit time was measured and converted into range data to each shore station. 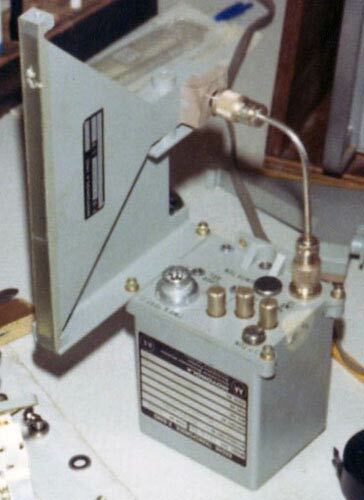 The transponder return pulses could be monitored on the marine radar set. In Gabon, the heavy morning coastal mist blocked the radar signals until the sun dispersed it. 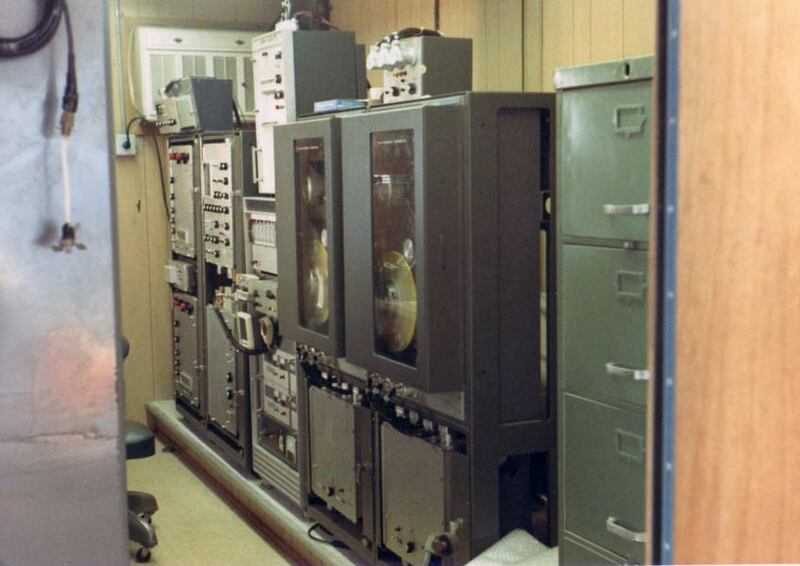 as FFI (Friend or Foe Interrogation) transponders for aircraft used in the Vietnam war. which included high masts, trees, rooftops of buildings, hilltops, etc. 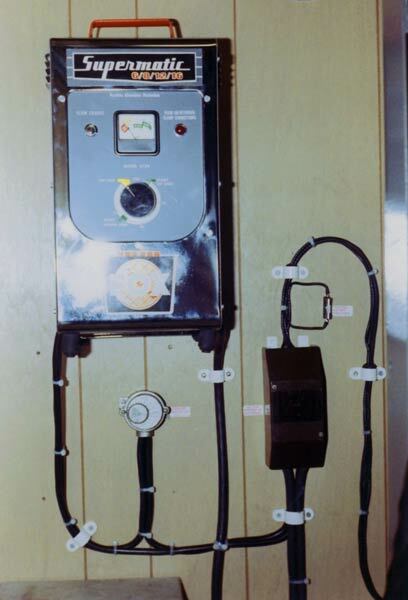 The shore stations had large batteries which allowed unattended operation for days. 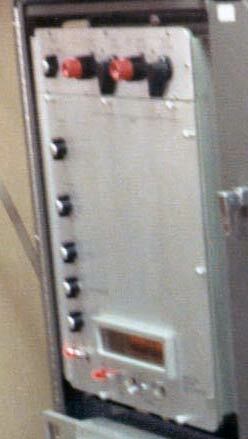 The 3000 volt dc blaster - connected to the firing line through a high-voltage junction box. 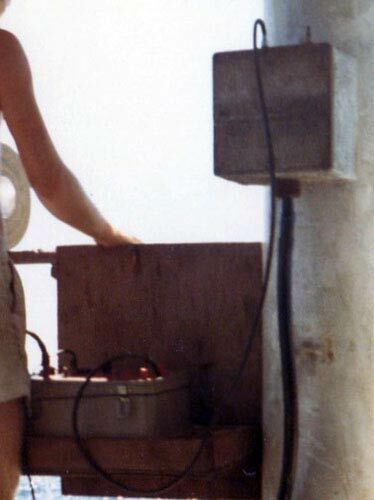 This voltage was needed to initiate the ICI detonator underwater.